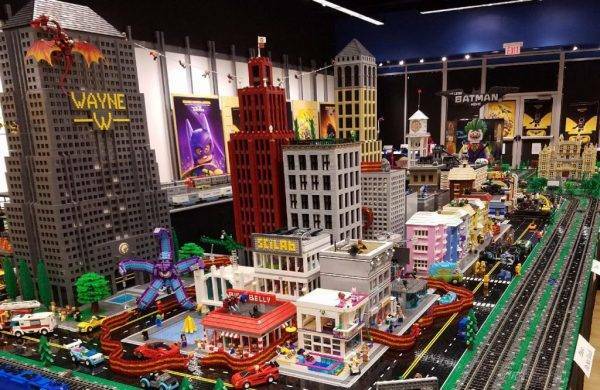 I’m always impressed with the custom layouts that Cactus Brick puts on display, and the layout currently on display for the LEGO Batman Movie at the Tempe Marketplace is surely no exception. Cactus Brick will have a free large Lego display at Tempe Marketplace to help promote The LEGO Batman Movie. WE will be open the first two weekends in February (Saturday, 11AM – 9PM, Sunday, 11AM – 6PM) as well as opening day Friday, Feb 10th, 11AM – 9PM. We will also be open on Feb 1st (11AM – 9PM). There will be three of The LEGO Batman Movie characters in costume for pictures on the afternoon of Feb 1st between 2PM and 4PM.